Hello, I’m Karl. I studied photography at the University of Central Lancashire in Preston from 2011 - 2014 and wrote my thesis on cognition, false memories and photography’s role within both. I’m fascinated by the way we remember and the way photography can be used as a tool for therapeutic and psychological purposes. I am a big believer in the importance of traditional photographic methods, from shooting film to keeping tangible albums. Because of this I’m currently in the process of designing a concept for social change by implementing traditional archiving processes within certain social sectors, from homes for autism, dementia patients, mental health facilities, rehabilitation centres and prisons with the use of customisable photo albums. The albums will be used as a tool to trigger conversations, inspire creativity and promote positive change, they’ll archive stories and create memories of the past for future generations. As I write this I sit in a loft apartment on a quiet little street in a small city in Western Germany where I live with my partner, however I am originally from North West England. I was born in Blackpool, Lancashire and grew up on a small estate in Poulton-Le-Fylde on the edge of the countryside. I grew up playing in nearby fields, climbing trees, skateboarding in the local park or along Blackpool promenade in the days of the old band-stand by the sea. Growing up I didn’t really enjoy school, I’d much rather be outside exploring, learning new skills hands on and being creative. I found the classroom restricting and exams, well I never really bothered about those. Academia wasn’t for me and I’d spend most of my classes distracted by daydreams believing as I’m sure lots of students do, that “I don’t need to be here!”. I must have been in my third year of primary school when my dad died suddenly of a brain hemorrhage aged 38. I was 8. Myself and my middle sister Tina were with him when it happened on a dirt-bike track on an industrial estate close to home. He spent 6 days in hospital before the decision was made to turn off his life support machine. I suppose experiencing something like this at a young age made me realise there was too much going on in the outside world to miss, which made me desperate to escape education even sooner, being so young I didn’t really have a choice in the matter and life continued. I grew up with my two older sisters and my mother in our family home. We were lucky that our grandparents on our mother’s side lived right next door to us and we always had a close relationship with them. Thinking back I suppose this support would have been extremely helpful for my mum as she’d just lost her husband. Life carried on as normal over following years, friends came and went, high school started, my oldest sister Hayley moved to Sheffield to go to University, Tina got her first flat and things seemed normal for a time. We all missed our father but we still had each other and we all had our own lives to live. Nanna and Grandad used to take us for a drive to Fleetwood at the weekend to watch the boats go out, we’d take sandwiches and sit in the car by the water. Mum has a couple of part time jobs in town to cover bills and would occasionally go into Blackpool to play bingo with her best friend, so I’d stay next door with Nanna and Grandad. I always remember on Sundays they’d watch Heartbeat. I used to hate the intro-song as I knew every time I heard it that I had school the following day. The end of high school was approaching. I was 16 and I could taste the freedom of getting out into the world. There were options to consider. Information never really came my way and I wouldn’t say I’d been offered much guidance when it came to leaving. I never really knew what 6th form was apart from that they got to wear their own clothes to school and nobody really talked to me about college. My goal was to get a job and start making money so I could get myself on the road and start living life. 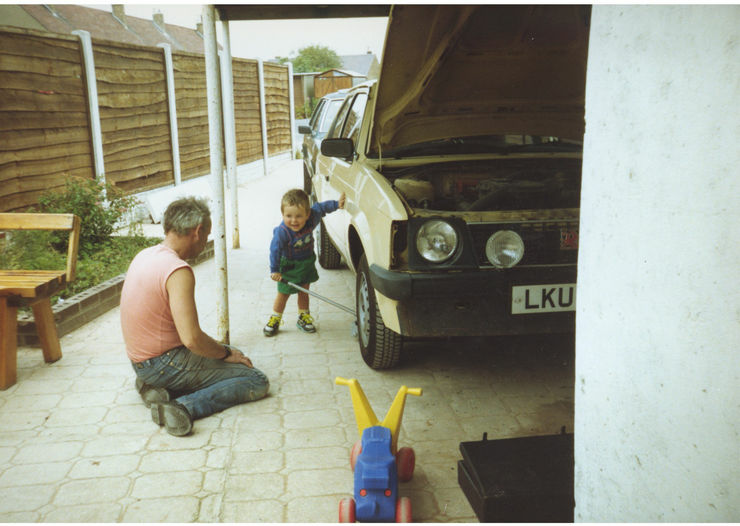 I was offered a job and an apprenticeship working in a car garage in vehicle body repair by an old friend of my dads as he used to be the body shop supervisor for Toyota on Devonshire Road, which is now a Lidl supermarket. Following in my father’s footsteps and putting to use all the old tools I had inherited when he died, I started going to Bispham college every Monday and worked the rest of the week. During this time my mother’s diabetes had taken a toll on her health. She’d been diagnosed with it when she was 10 and injected insulin into herself three times a day for many years. I hadn’t been working in the car garage for very long when she was taken to hospital with complications and said to be kept in for a week or so. I was making just £82 per week in my apprenticeship and as soon as I’d saved enough I took my motorbike test. I was 17 and the law hadn’t changed to new regulations, so I had my full licence and bought a 1990 Honda CBR 600 from a friend of mine. I was finally on the road. The two weeks mum spent in hospital turned into a month, then two months. During her stay she had many health problems from pneumonia, heart attacks, fluid on her lungs, kidney failure and towards the end of her stay she lost her sight overnight. All of this caused by her diabetes, she spent 362 days in Blackpool Victoria Hospital. Three days off a full year. During that time I changed my job as I needed to earn more money. I quit my apprenticeship and I got a job with my friend printing identification numbers onto aeroplane parts in a factory. I was earning three times more money and I could afford to look after myself a little better. Mum came out of hospital and my sisters and I became full time carers for her. We had visits from nurses every day, help from the local blind society who provided us with gadgets and information to help make her life a little more comfortable and social services offered us an incredible amount of support. Caring for your own mother 24hrs a day, having to sleep on the sofa to be close to her in case she needed anything from a cup of tea to assistance getting to and from the bathroom became ordinary. This was our life and this is what we had to do. Mum spent about six months at home with us before her illness deteriorated more and we were advised by her doctor to put her into a nursing home. Signs of dementia started to show, not long after she was in a home. She’d sometimes ask where her friend from high school was, as though she was still a teenager, and her memory was degrading rapidly. On the 19th of March 2007 at around 6am, I was woken by a phone call from Tina. I knew before I answered, what I was about to hear and we all met at the nursing home to say goodbye. It was her birthday, she was 48 years old. Everything from this time and the time of my father’s death has become a blur to me and my memories are vague at best. The family home was left to the three of us. Tina already had her own place with her first son, Hayley had a family and I was 18 years old and didn’t really know what to do with myself. We decided the best option for all of us was for Hayley to buy us out of the house and she would then make it her family home and start a new chapter with her family in the property we’d called home for so many years. A short time after everything had been settled with the house and it had been signed over to Hayley I found myself in my late teens with a nice amount of money in my bank and no job, as my career as a carer had recently come to an end. I still lived with Hayley at the time, in my childhood bedroom in the attic. My sleeping pattern was nonexistent and I’d spent most nights wide awake stuck in my own thoughts. The first thing I bought myself was a new camera. This was my escape. An excuse to head outside, go for a ride on my motorbike and explore my creativity through photography. I mostly took photos of landscapes or wildlife as I spent most of my days riding to quiet places like the Trough of Bowland and Beacon Fell. One sleepless night as I was scrolling through the internet I stumbled upon a volunteering website for travel and working abroad. After searching through available options, weighing up the different causes and opportunities, clicking through pages and pages, I found the ideal escape. 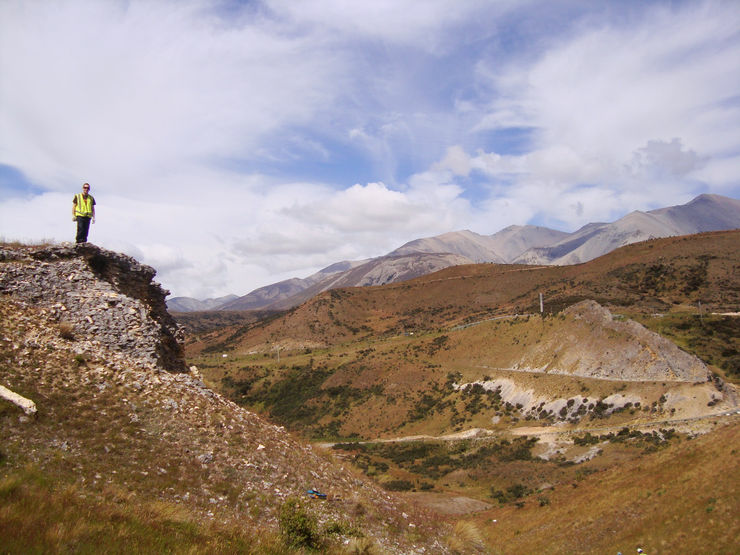 Six months conservation volunteering in New Zealand. My selfish teenage mind found the longest course in the furthest place away from home and it was booked. Wow… I was going to New Zealand for six months, this was pretty spontaneous and incredibly exciting. What I now believe I was doing was coping with everything that had happened by distancing myself from the ordinary. My trip to New Zealand was drawing closer and closer and I’d prepared everything that I needed to take with me. The day before my flight I was in the countryside riding through the lanes and I crashed my bike. 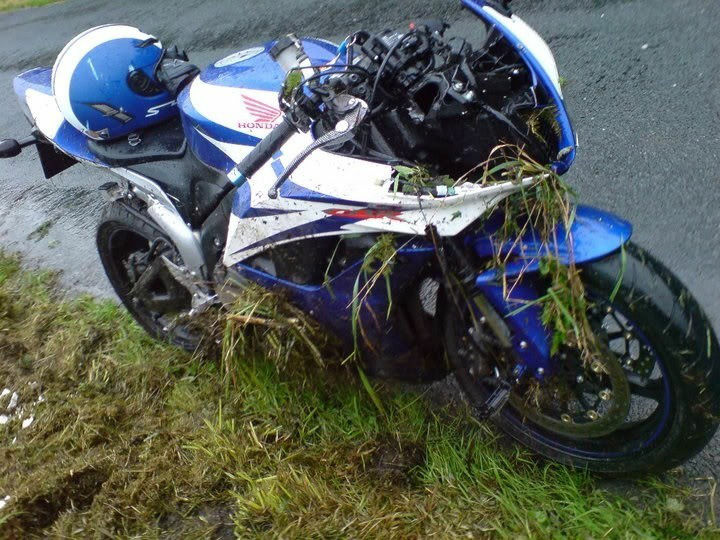 The road was wet and as I went around a bend over a slight crest in the road the bike slid sideways and I was heading towards the grass verge. The bike went down and I hit the stone wall, flipping me upside down over the bike I watched it slide towards me as we both went down the road. I was lucky there was nothing coming the other way or it may have been a different story. I stood up, walked back towards my bike and tried to pick it up but my arm was hurt. A car came past and stopped. I sheltered from the rain and called Hayley to ask if she could come and pick me up. Tina had her partner collect my bike in his father’s van and Hayley drove me straight to the hospital where I had x-rays to find I’d completely shattered my scapular. My pelvis tissue was torn and bruised and my ribs were tender. The nurse at the hospital said that my shoulder was so swollen they couldn’t see the extent of the damage to my scapular so I’d have to return the following day for further x-rays. She also said they wouldn’t operate as that area is covered with too much muscle and it usually heals within three to four weeks. After explaining that I had a flight to New Zealand to catch she organised an early morning appointment and Hayley took me first thing to get a sling and copies of my x-ray to take to with me so I could seek further medical attention once I’d arrived, if I needed to. Nothing was going to stop me from going to New Zealand, not now. Hayley drove me home and helped me pack my backpacks then drove me to Manchester airport where we had a bite to eat and said goodbye. I was on my way around the world to experience new things, meet new people and create new memories. Three days after crashing my bike and shattering my shoulder I found myself up to my knees in wetlands on a protected peninsular in New Zealand, planting flax plants and digging holes with one arm. The time I spent in New Zealand and the people I met along the way were incredible and helped shape my future in more ways than I can thank them for. During my stay I continued to photograph landscapes and wildlife, more exotic than I’d ever seen before. Far different to the usual adventure to the Trough of Bowland that I was used to! Towards the end of my stay I ended up living with a wonderful family, helping to restore an old wooden tram for a local city. The gentleman I had met who invited me to stay with his family was also writing a book at the time, about the house they lived in. He had seen one of the photographs I’d taken of his home, which had originally been captured as a personal memory for me, and wanted to publish it in his book as a final image, a sort of ‘happily ever after’ image. This feeling of being published in a book, having my name in the acknowledgements and being part of such a great story had me hooked! I knew I wanted to take my photography further, learn more and publish more images. When I returned to England after being away for nine months in total, I set out to find work within photography and managed to become a studio manager for a product photography company. After a year or so of shooting in studios and creating commercial work I decided it was time to get outside again and escape the confinements of studio settings. I didn’t feel challenged anymore and wanted to push myself to understand photography at new levels, but how could I do this? There’s no way I’d ever get into university, I hated school and have no A-level qualifications. Well I have always believed in the saying “if you don’t try, you don’t get”. I applied to the University in Preston and awaited a response. Nothing. I didn’t hear back from them and the start date for the course had passed. I wasn’t going to give up that easily though. Through help from the local careers centre I managed to get on to an adults night course in photography in Lancaster. It was a start, a first year NCFE qualification in photography had to be better than nothing at all. The following year, after completing the night course I sent another email to the head of the photography department at Preston University and pointed out my determination for a place on his Photography course. I got an interview with him and then and there he offered me a place. I was in. Three years of focused study in photography taught me many things about the medium that I’d never even considered beforehand. owards the final year I had started exploring the uses of domestic photography and began to study my own family photography in more detail. I became aware of the importance of family photographs and began to question their relationships with our memory and our surroundings. I made a project based on photography of me and my father and realised that most of the printed images I was looking at triggered no memories. I can’t remember much at all about him and I realised that the tangible photos were in a sense, external copies of my memory. I then created a book of photographs of my mother for another project. These images that we keep of our family, tell stories of the people we love, even in the times before we knew them, before we existed. A visual history of our family and friends that last longer than life itself, longer than our brains are able to store them. When I think of my father now, I think of the photographs I’ve seen of us together, rather than the moments themselves. When I think of my mother, I can remember a few times towards the end that were spent with her. Autobiographical memories that are mostly triggered in relation to stories I’ve told. The photographs of both of my parents are the only real memories I have of them and with almost all families capturing and sharing photographs digitally these days, the tangible printed photograph and family photo album are becoming extinct and this issue concerns me both as a witness but also as a photographic artist. This brings us back to today. Sat in the apartment in Western Germany, being supported by my partner to whom I can’t thank enough for allowing me the time to focus on my work, I have designed a new model to bring the photo album back to life, and more importantly, to use them in such a way that I am able to help others in the process. Throughout all that has happened in my life my relationship with my sisters has always been strong, they and my Nanna are a large part of my life and they have offered so much support I’m eternally grateful for. Today we live in a world where everything is driven by technology, from navigating our way through an unfamiliar city to switching our lights and heating on at home from our mobile phones or setting a program to record whilst we’re out and about. We have smartphones, smart TV’s, smart homes, smart motorways and self-driving cars, so many gadgets to make our lives easier yet mental health statistics continue to rise, fifty million people suffer from dementia worldwide and ten million new cases are registered every year, depression affects over sixteen million people in America alone and whilst there are many studies and no set causes for this growth in mental illness, my question is, how will the next generation remember, and how will we be remembered? One of the first things people say they would save if their home was on fire and they could only grab one thing, would be their photo albums. However, we are now a generation not creating albums as we used to, so if something is so important to us why are photo albums so unpopular now? Many articles online say that people struggle to find time, it’s too expensive or they just haven’t got round to doing it yet but it’s on their ‘to-do’ list. My new concept has been designed to give people that push they need to slow down their fast paced lives, think about their past, themselves and their loved ones, engage in something creative, inspire conversations and remember the good old days over coffee and cake as they create and flick through a photo album in the real world away from technology. My albums aren’t about collecting ‘likes’ they are about collecting memories. All photogrphs supplied by Karl Child. You can contact Karl and find out more aout his photography by visiting his website portfolio.